Looking to optimize the placement of your Revel Performa3 C205 or C208 center channel speaker below your TV or projector screen? This matching pedestal stand raises the speaker and angles it slightly upward to help it blend in with your front left and right pair. The speaker secures to the stand with four screws. The C Stand can also be used with other center channel speakers weighing up to 51.5 lbs. (but will not secure with mounting screws). Compatibility: The C STAND will match perfectly with your Revel Performa3 C205 or C208 center-channel loudspeaker. 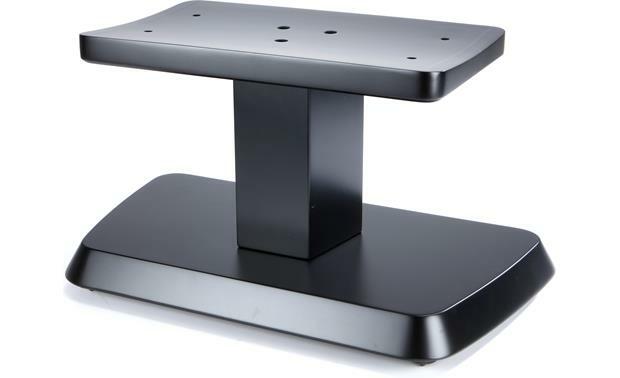 This stand places the C205 or C208 center-channel speaker at the proper height for seated listeners. The C205 or C208 center speaker is secured to the stand with four screws. The C STAND can also be used with other brands of center-channel loudspeakers that weigh up to 51.5 lbs (but will not secure with mounting screws). MDF Construction: The Revel Performa3 C STAND features MDF construction for the upright posts, top plates, and bases. Available in a black or white finish. Top Plate: The C STAND's top plates measure 15.75" wide x 9.1875" deep. Your Performa3 C205 or C208 center-channel speaker are secured to the top plates with four screws. Base: The base of the C STAND measures 21.5" wide x 11.875" deep, and provides a solid foundation for the stand and your center-channel loudspeaker. 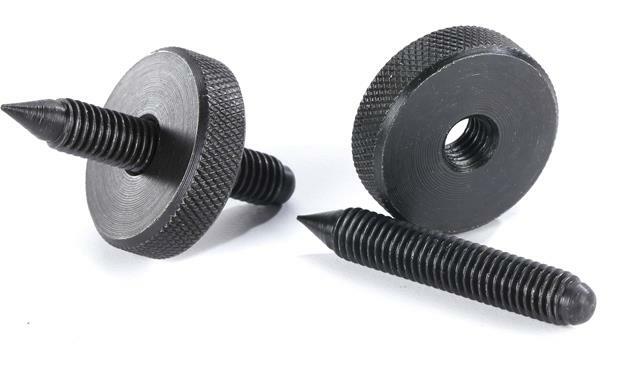 Spiked Feet: Four spiked feet are included that screw into the bottom base of the C STAND. If the C-STAND is to be placed on a carpeted floor, install the spikes with the pointed ends protruding from the stand base (the stand measures 11.8125" tall in this scenario). If the C STAND is to be placed on a wood or tile floor, install the spikes with the round ends protruding from the stand base (the stand measures 11.75" tall in this scenario). Without the spiked feet installed, the stand measures 11.0" tall. 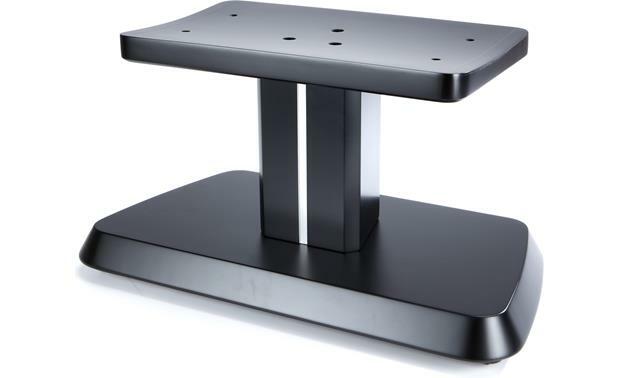 Searches related to the Revel C Stand Pedestal stand for Revel Performa3 C205 & C208 center channel speakers.